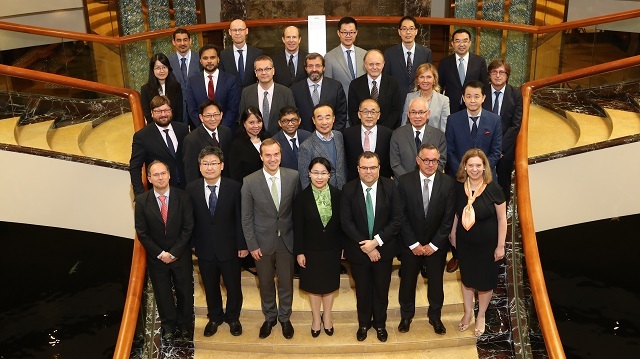 Jointly organized by ASEAN+3 Macroeconomic Research Office (AMRO), the European Stability Mechanism (ESM), and the Fondo Latinoamericano de Reservas (FLAR) – the 1st Joint Regional Financing Arrangement (RFA) Research Seminar is an annual event aiming at bringing academics and institutions together to discuss key issues pertaining to global and regional financial stability. Topics included economic surveillance, crisis prevention and management. 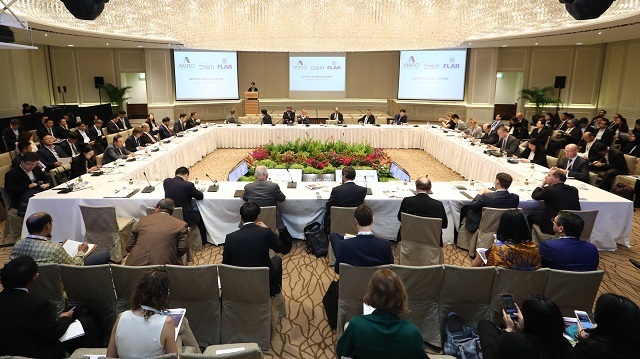 Among the discussants and speakers were renowned academics and experts, representatives from international, regional and national organizations, and the private sector. 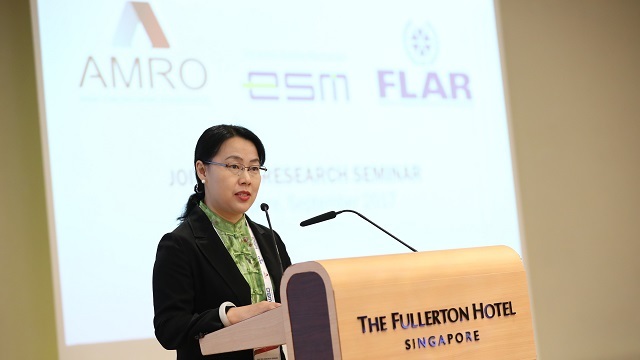 More than 100 participants convene at the 1st Joint RFA Research Seminar co-organized by AMRO, ESM, and FLAR, which takes place on September 7, 2017, in Singapore. In particular, the panelists looked at the best practice of early warning toolkits, which include indicators to monitor individual economies, and discussed how to further enhance these toolkits. RFAs were also encouraged to better collaborate to develop their own surveillance frameworks to prevent possible crises in the future. The IMF’s risk assessment frameworks can provide a useful reference.